SKANDINAVISK, 'FJORD' SCENTED CANDLE FJORD, [F-YOR] Coniferous for..
SKANDINAVISK, 'HAV' SCENTED CANDLE HAV [HOW], Nordic for 'sea'. 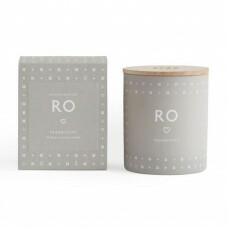 Th..
SKANDINAVISK, 'HYGGE' SCENTED CANDLE Hygge [HU-GAH] is Danish..
SKANDINAVISK, 'KOTO' SCENTED CANDLE KOTO [KO-TO], the traditional ..
SKANDINAVISK, 'LEMPI' SCENTED CANDLE LEMPI [LEM-PE], old..
SKANDINAVISK, 'RO' SCENTED CANDLE RO [RO], peace, calm and tr..
SKANDINAVISK, 'SKOG' SCENTED CANDLE SKOG [SKOWG], Norwegian/S..
SKANDINAVISK, 'Ö' SCENTED CANDLE "ØY", silken lakes, secluded..
SKANDINAVISK, 'FJORD' MINI SCENTED CANDLE FJORD [F-YOR], coni..
SKANDINAVISK, 'HAV' MINI SCENTED CANDLE HAV [HOW], Nordic for 'sea..
SKANDINAVISK, 'HYGGE' MINI SCENTED CANDLE Hygge [HU-GAH] is D..
SKANDINAVISK, 'FJORD' MINI SCENTED CANDLE KOTO [KO-TO], the t..
SKANDINAVISK, 'RO' MINI SCENTED CANDLE RO [RO], peace, calm and tr..
SKANDINAVISK, 'SKOG' MINI SCENTED CANDLE SKOG [SKOWG], Norweg..
SKANDINAVISK, "ØY" MINI SCENTED CANDLE ØY, silken lak..
MERAKI SCENTED CANDLE, FRESH COTTON Dm. : 5,5 cm, H.: 6,7 cm Won..